Whether hearing the name of this city conjures thoughts of Sinatra, invokes memories of your favourite mafia movie or simply makes you think of your last trip to the city that never sleeps, one thing is for certain: New York has something for everyone! For me, memories of New York are abound with great food, an artistic scene that rivals any in the world and a history that is as colourful as it is rich. As an avid lover of food, my first visit to New York as a teenager focused on pizza, steak and burgers. While there is much more to the NYC gastro scene than this, my dream as a kid was to eat a giant slice of New York pizza (I was easy to please as a youngster). Once my pizza urges were satisfied, my mind turned to steak, booze and mafioso in some of NYC’s famous steak houses. But more on that later. For any food lover, I recommend watching Anthony Bourdain’s No Reservations episode on New York. Not only will you be dribbling uncontrollably, you will be looking to book a plane ticket with your next pay cheque. My memories of New York are of walking the streets of Harlem in search of the diner used in the filming of Seinfeld. They are rich with the smell of steak in my nose, the calm of walking through Strawberry Fields and the awe of looking across the East River to Manhattan from the Brooklyn Bridge. For me, New York inspires me to eat, explore, write and follow my dreams, like so many before me who have visited this great city. 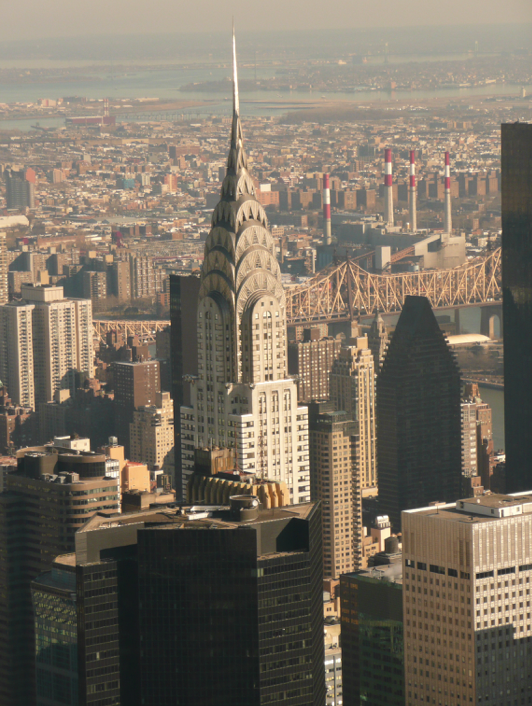 New York is perhaps the major travel hub in and out of the United States. At the beginning of New York’s relatively short but rich history, New York harbour was the landing point for immigrants who ventured to the U.S in search of a better lifestyle, the promised American dream. Once there, getting around is easy. There are the famous yellow cabs and the underground railway network, but my favourite mode of transport in the city that never sleeps is by foot! I’ve walked almost the length of Manhattan, from the Financial District in the south, through Harlem and into Washington Heights. The surprises and sights that you see while on foot are easily missed in cabs and on the underground. My number one recommendation for a walking tour of New York is to walk across the Brooklyn Bridge. It is my favourite bridge in the world and offers amazing views of Manhattan and Brooklyn. 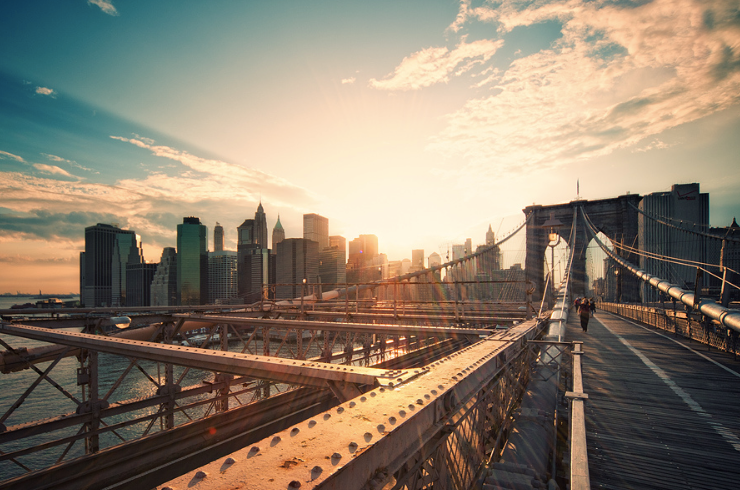 Brooklyn Bridge looking back to southern Manhattan (photo courtesy of Phillip Klinger). The culinary options come at you in abundance in NYC. Whether you are after a New York Sirloin, dim sum in Chinatown, world-class Italian or modern cuisine, this city has it all. The food in Chinatown is good, but being from the Asia region, I’d prefer to visit Hong Kong or Singapore for my dim sum fix. For me, once I satisfied my craving for giant pizza, New York is all about steak houses. I am an out-and-out carnivore and NYC ticks all of my boxes when it came to getting my protein fix! Take your pick from any of the famous steak joints, but be sure to book ahead if you can. New York also offers a number of street delicacies, in the form of New York hotdogs and my morning favourite, the bagel. When it comes to drinks, I have trouble locating decent espresso coffee at times, as the Americans tend to prefer filtered coffee. In saying that though, there are a number of good places worth visiting, you might just have to do your research beforehand. New York is full of bars. There are sports bars that show live sports round the clock, there are quieter wine bars and then there are the swanky clubs of the Meat-Packing District and other trendy suburbs. Be prepared to part ways with your hard-earned pennies if you plan on visiting someplace fancy. No matter where you decide to drink, always remember to leave a tip or you will have trouble getting served that second beer! New Yorkers are very proud of their city. They are used to the hustle and bustle and they are also used to tourists. NYC is the city that never sleeps and its inhabitants are the people who never rest. There are all kinds of people who live in the city. There are bankers who probably use $100 bills as toilet paper, there are celebrities, there are artists and writers and there are the everyday folk just like you and I. While the dark days of New York being one of the mugging capitals of the world are behind us, it is still best to take care of yourself and your possessions when moving around the city. Enjoy what NYC has to offer, but do it sensibly. It seems that each borough has its own culture and rhythm. 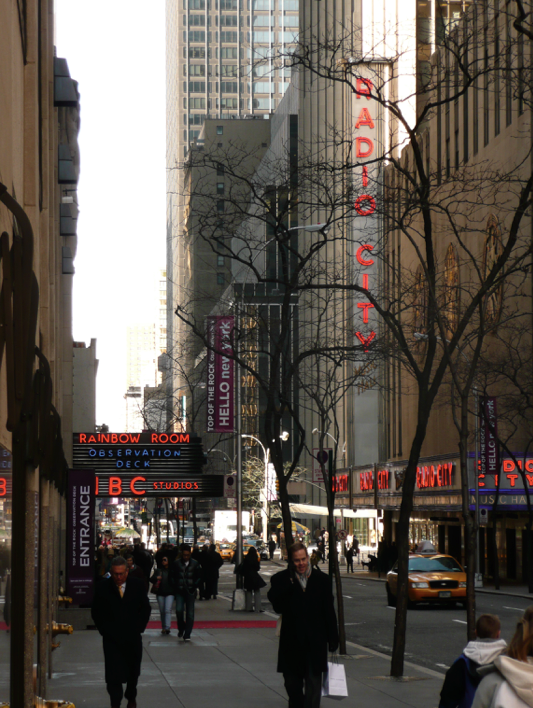 Like its food scene, New York’s cultural highlights are numerous and vary from musicals on Broadway to viewing the city skyline from atop of the famous Rockefeller Centre. For me, Ellis Island is worth a visit to get an idea of the mass-immigration into the city over time. 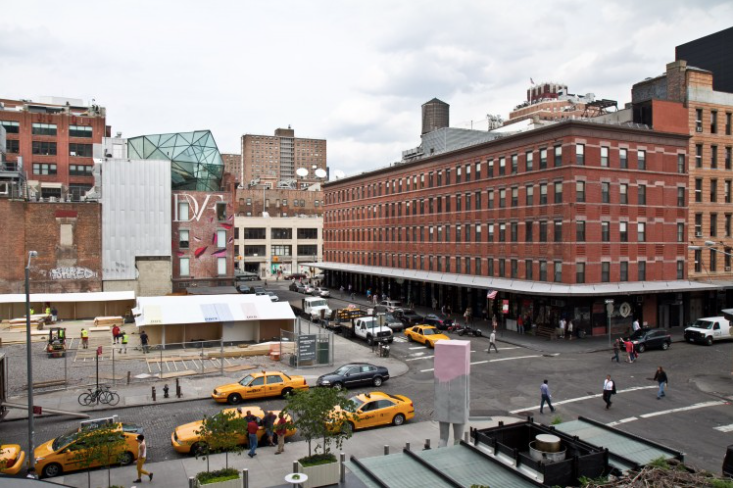 As I mentioned before, traveling on foot is my preferred method of transport and a day long walking tour of the different boroughs and suburbs will have you seeing the sights and places of cultural significance. On my last visit to New York, it was the middle of winter and we went ice-skating in Central Park. Being from Australia, ice-skating in the outdoors is a novelty not to be missed! New York has the ability to drain your bank account and have you searching for that hole in your pocket that was responsible for you losing your cash. There are however a few tips for saving a dollar or two. I like to use Air BnB for my accommodation. You can find small apartments for a fraction of the price of the big hotels in the city. This allows you to cook your own meals and eat breakfast at home also which is a great saving. Walking instead of using cabs to get around will save you some money and eating at small, local restaurants and eateries is cheaper than the flamboyant fine dining restaurants that are in abundance in NYC. A comfortable pair of walking shoes. You will earn the right to splurge on giant pizza after a day of exploring Manhattan on foot. For me a New York Sirloin cooked to perfection at Sparks Steakhouse or any other ex-mafia hangout! You know you’re in New York when at the end of the day your feet are sore, you need two hands to hold a piece of pizza and you couldn’t be happier than just sitting on a street corner watching the world pass you by. 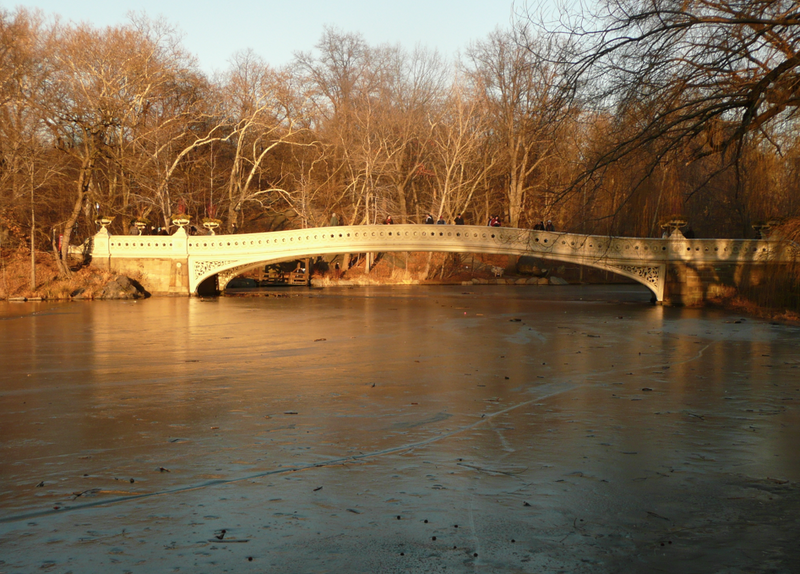 Bow Bridge in a frozen Central Park. View from atop the Empire State Building. I loved reading this. 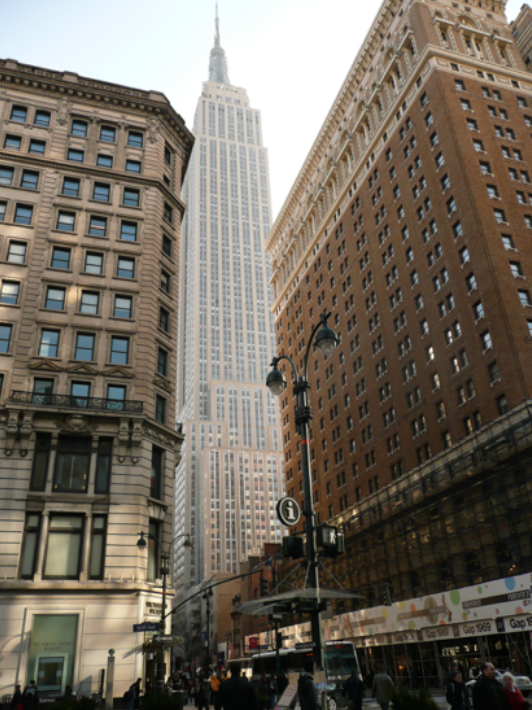 Great (and accurate) account of NYC and your trip! Thanks and it is always nice to hear that a local enjoyed my recollection of their home city. I am trying to figure out a way to squeeze another visit to NYC into my upcoming trip to South America at the end of the year.